I would have been leg pressing at the gym but for my detour to Nancy Williams’s Facebook Page. “Those bloody sharps and flats–those endless calamities of the personal past. Bah! I disown them from the rest of my life, in which I mean to rest.” From “Grass” by Mary Oliver. To me, this attitude hearkened back to 1960’s Montgomery, Alabama with its apologia about desegregation. Lyrics from South Pacific suddenly popped into my head. 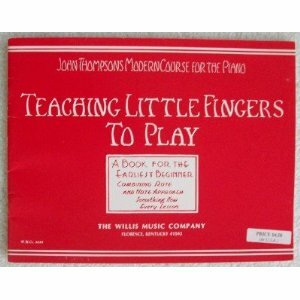 Such riveting words were applicable to piano learning in “traditional” teaching environments around the country. The cold-hearted truth was, beginning piano students were TAUGHT that BLACK NOTES DIDN’T EXIST as EQUALS among whites. 1) That too many of us were glued to the WHITES with our THUMBS stuck on middle C until it hurt. We were so primordially ENSLAVED by the 52s that our DEEP SOUTH-indoctrinated prejudice deterred us from making friends with our NORTHern neighbors. 2) Our Southern-biased teachers, may they rest in peace, refused to introduce us to the stigmatized blacks until we had advanced so far along in our primers that we would rather eat spinach than make friends with the dark-colored outcasts. I was fed on John Thompson RED books and he, too, furthered the cause of Whites as a dyed-in-the-wool Yankee from Philadelphia, home of the Liberty Bell. Time marched on with little progress made since Thompson churned out Pixie plus publications. In the Millennium, enter the Faber Piano Adventures Generation, with a peep-through, veiled relief of black-key associated anxiety. At least for the first few pages of Primer Performance Purple, the little ones pleasingly dance on the blacks without a hint of displeasure–an ebony-realized dream that should be FOREVER, according to fairy tales. But like Cinderella’s fate at the stroke of midnight, Primer page 6, sent the blacks packing– banished from their privileged KINGDOM, restoring WHITE-note supremacy! “Wind in the Trees,” and “The Shepherd’s Flute,” such sweet black-key melodies, wooed newbies, keeping them in the throes of love-sickness through page 5. They could have stayed in variation form but were mercilessly bumped by “Hot Cross Buns” on the Whites, (p. 6) dashing the hopes of blacks for keyboard EQUALITY. Oh No!!!!.. “HOT CROSS buns” and the DEEP South. The pairing smacked of unabashed black-note bigotry! The clock had been turned back.. It was time to bring on the Black Notes for a rousing rebellion! In Music Moves for Piano (www.musicmovesforpiano.com) students begin with black key pieces, gradually adding white keys. 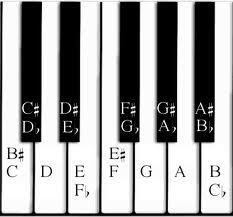 When they transpose, they learn F# major and very soon the Db major scale. Black keys are very friendly — some students say they are easier to play than white keys. Black key pieces make it possible to play all over the keyboard – so students learn how the arm takes the hand places and the fingers stay together, building good playing technique. BRAVO for the black keys! Thanks, for putting my blog among Piano Addict’s favorites–I treasure yours as well. That is a very funny post. With today’s ridiculous “political correctness,” the humor might be lost on some. 🙂 I was glad to learn from that video that the song was in JT Grade Level book #2 & it even gave the page number (66), which I had also hoped to find out. God bless the internet for “Memory Lane” purposes! Found your site via google images. Your red JT book pic is the first I’ve found of the long sideways/horizontal books, as that is how I remember them. All the other pics available look tall vs horizontal, so thanks for that! You’re welcome! I enjoyed finding/reading your articles & insights! Sounds like you’re having fun in your journey down memory lane.